Can I tell you a quick(ish) story? About how Apple is EVIL? I've had my iPhone a while. It's given me zero problems (why I love Apple products even though they are Satan). Monday morning I went into a meeting. An hour later I came out to find my phone completely, 100%, not working and dead. I took it to the Apple store (driving through Houston Galleria rush hour traffic, which is EVERYONE'S FAVORITE THING TO DO), where I waited over an hour to be seen (hey, self: always make an appointment). Genius Bar girl looks at my phone, tells me it's "bent," and that my battery will never ever work again. "Oh, wow, it says your warranty expired yesterday. What a strange coincidence! But I'd be happy to sell you a NEW IPHONE (!!!!!)" Fortunately, I was contemplating switching plans (yes, I'm 30 years old and have been freeloading off of my parents' plan for years - why do you ask? ), so I decided to sleep on the whole thing. WELL. After watching The Bachelor premiere (...you still there? ), Jon walked in the room and said, "Your phone's working. I just had to hold the home button and the on button down for 20 seconds." You're seriously telling me the Apple Geniuses don't know this trick? 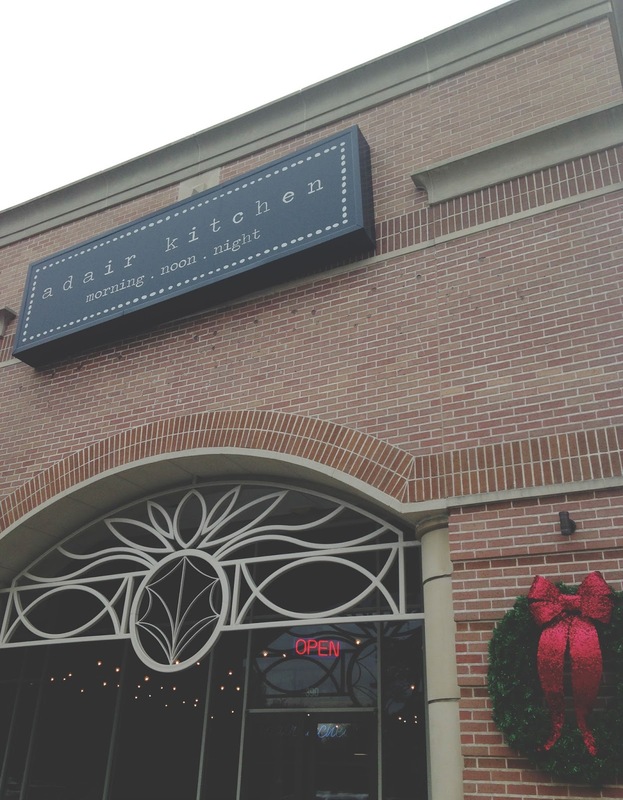 Over the holidays I met up with my mom one day for lunch at Adair Kitchen, a massive counter service restaurant located in Houston's Galleria/Uptown area. We stepped up to the packed and buzzing restaurant's counter to order our food, and the beyond-friendly employee informed us that they had switched their computers over to a new system that day, so to bear with him. Bear we did! 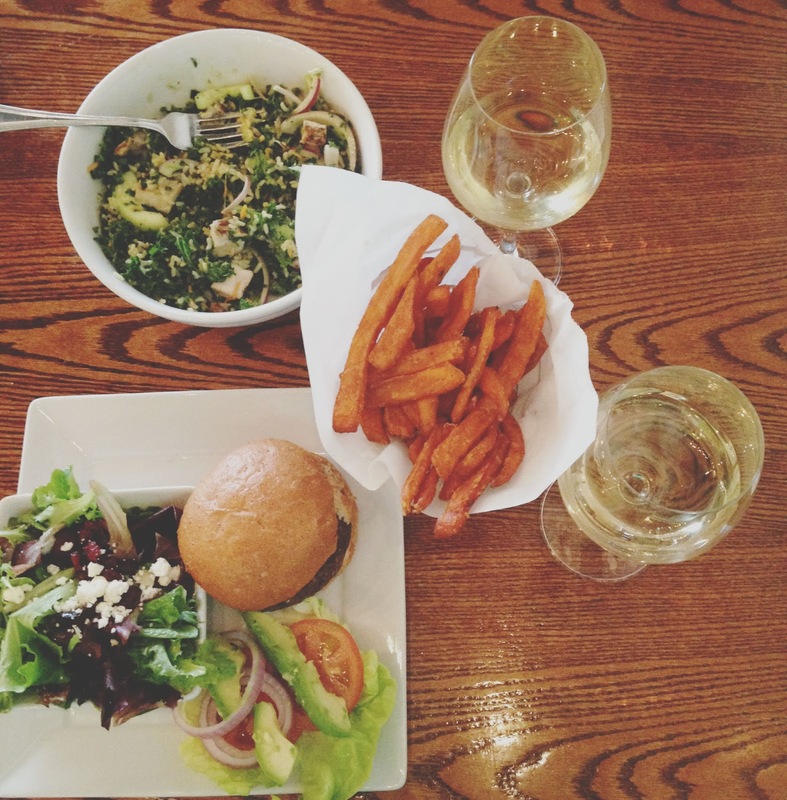 Because it was a Tuesday, we ordered some wine. However, they ended up bringing my mom a glass of cabernet instead of the chardonnay she ordered. They were super apologetic and immediately corrected the problem (and made sure they hadn't overcharged us). Houstonians are the nicest, ammiright?? My mom ordered the restaurant's super foods bowl and asked for the chicken on the side so I could have a taste (Thanks Mom!). 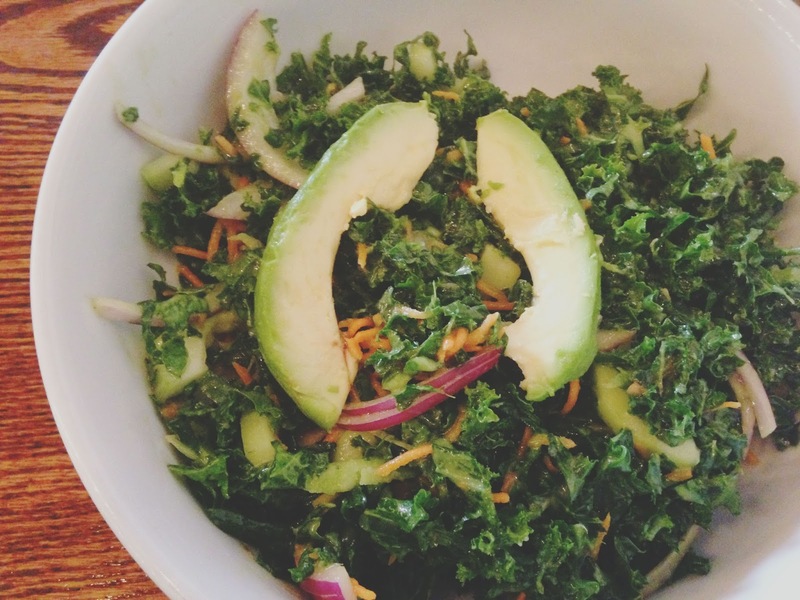 Brown rice, kale, avocado, almonds, tomato, red onions, and cucumber were tossed in a sweet ginger miso dressing. Y'all, this was SO good (coming from an avid kale-hater). The fresh, crunchy veggies were softened up by the brown rice and avocado. The sweet, light dressing took the edge off of the bitter kale, and everything came together wonderfully. I loved this dish so much, I will probably order it next time! For my main course of food, I ordered the black bean quinoa burger. However, what they brought out was a salad. Not to worry, once again they were incredibly nice and rushed to get my burger out to me. 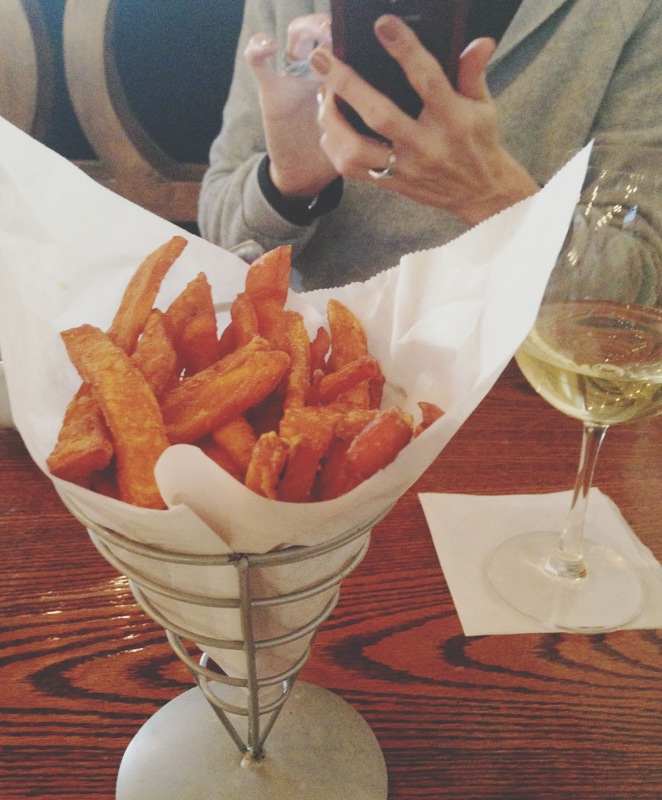 In the meantime, we munched on some sweet potato fries! In actuality they left the sweet potato fries off our order. We had to ask for them again, and they brought them out quickly. They weren't very warm, but were still enjoyable. Lightly battered and fried, the dense sticks were sweet, salty, and tasty! 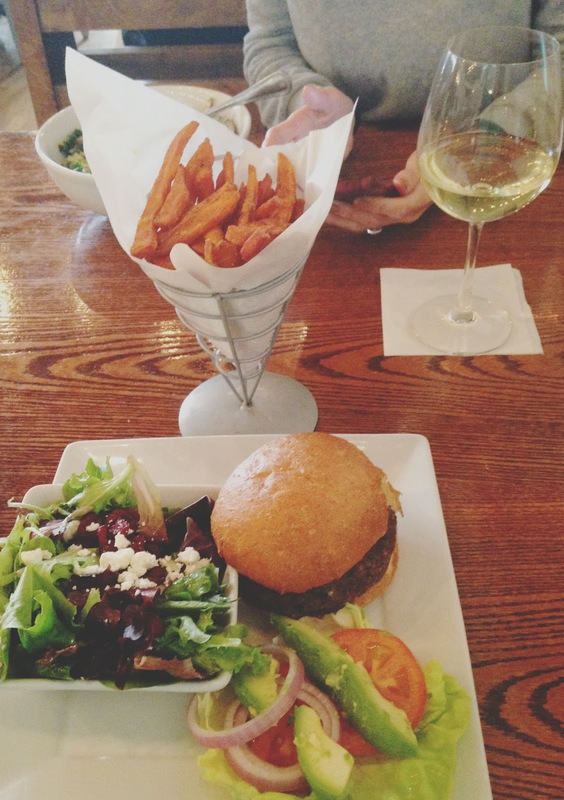 The restaurant's veggie burger wasn't too shabby either. The patty - clearly made in-house - had a smoother, more doughy texture than most. It was as if the ingredients had been pureed, then molded together. This softer patty was a unique departure from the norm, and I enjoyed it with the accompanying firm vegetables and avocado. The lightly dressed side salad included a playful sprinkling of feta, which also provided a slightly different experience. Even though several mistakes were made with our food orders, the restaurant employees handled these errors calmly, speedily, and with total professionalism. I understand how rattling it can be to switch to a completely new computer system (especially in lieu of my recent technological issues), and I definitely appreciated how well everything was handled. 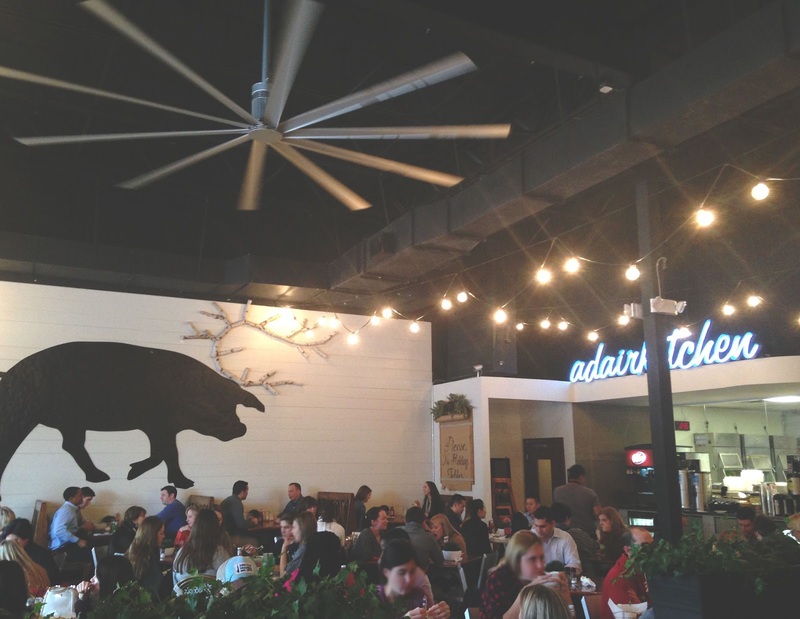 Furthermore, the food at Adair Kitchen was pretty darn good - especially that power bowl! 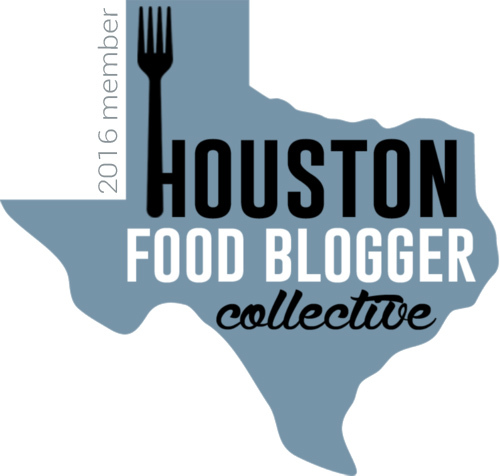 Light, thoughtful, healthy, and delicious, the food at this restaurant is a must-try if you're in Houston's Galleria area! Omg I love Adair Kitchen! I've been quite a few times, and haven't ever had an issue with a messed up order, so don't write them off! I'm sure they'll figure it out. I have always been intrigued by the power bowl, but don't think I've ever gotten it!